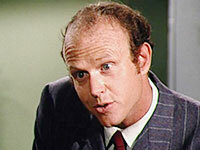 Red Turner previously appeared in "The Gift". He was a successful country star who gave up his career when his son died of leukaemia. 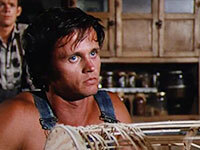 Jason Walton convinces him to pick up the guitar once more at the Dew Drop Inn. 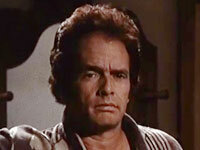 Country Legend Merle Haggard took up the role of Red Turner for this episode. 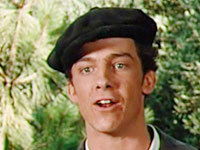 The character was previously performed by Ken Swofford. 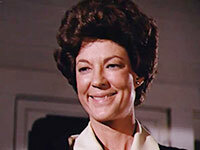 Cissy Walker works as a waitress at the Dew Drop Inn. 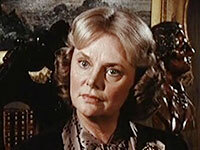 She has her eye on Yancy Tucker and seeks the Walton's help in trying to catch her man. 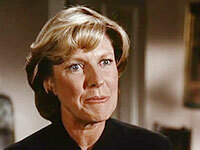 Cissy Wellman previously appeared as a different love interest of Yancy Tucker's in "The Chicken Thief" (s2-ep6). She makes regular appearnces at Walton Reunion Events. She appears in 5 episodes in the series. At the request of Rev. Fordwich, Reverend Ezekiel Henshaw arrives in town to provide a hellfire and brimstone sermon at the Baptist Revival Meeting. Not all in attendance approve of his methods to attract followers to the faith. 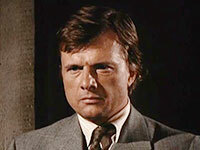 John Karlen played the husband of Mary Beth Lacey in Cagney and Lacey. Eva Hadley moves to an abandonned home with her son Lorin. She is wary of other people for fear that they will bring problems to her son and herself. Lorin is a newcomer to the mountain who roams throughout the community making bird calls and spooking the locals. He is a mute but is gifted at weaving baskets. Gary Tomlin was a polific producer of daytime Soap Operas like Days of Our Lives, One Live To Live, Sunset Beach and All My Children. Bill Welby runs a land development office and is interested in buying land around Walton's Mountain to exploit it's natural resources. 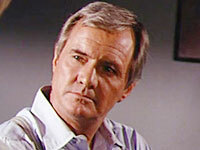 Actor John Carter appeared 4 times on The Waltons and played the role of Deputy Walt Hendrix twice in Season 9. 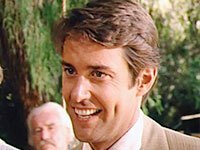 He also had a recurring role on Falcon Crest, Earl Hamner's 2nd successful TV series. Martha Corrine is the wife of Grandpa's brother. She has been living in a new home after being displaced from her families homestead on the other side of the mountain. She comes to visit the Walton famiy as she knows that she is coming to the end of her life. She causes a fair bit of upset with her opinions on how things should be done around their house. She does however make an impression when she shows Ben how to paint his pony cart with old folk patterns. Professor Ainsley comes from Boarwright University to see one of the last wild Mustangs that roams free on Walton's Mountain. Glen Oldfield is a young, popular and attractive candidate on the fast track for election to the State Legislature but at the cost of Sheriff Ep Bridges job. 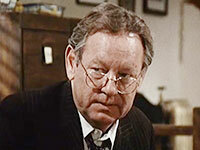 Arlo Jessup is a less than scrupulous campaign manager working to elect Glen Oldfield as the new Sheriff of Rockfish. Zelda Maynard has here eye on Grandma's position as church organist and her husband as well. Darlene Jarvis is the daughter of a local used car dealer that Ben sell's newspaper ads to for John-Boy's paper, The Blue Ridge Chronicle. 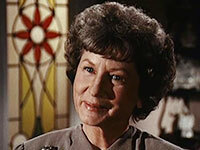 This is Debi Richter's first credited role. 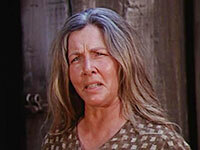 When we see the character of Darlene again she is played by actress Melody Thomas. Chad Marshall is a foresty student who returns to Walton's Mountain to settle on some land and to propose to Erin Walton. He previously caught her eye in "The Competition" (S4-ep8). Mr. Morgan is the supervisor of the Hihway Planning Department in Charlottesville that John finds employment at during a slow period at the mill. 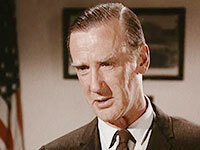 Donald Moffat is known for his roles playing Judges, Doctor's and The President. He is also remembered for his role in "The Thing". 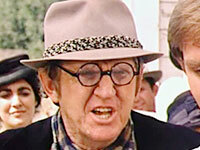 He is married to TV director Gwen Arner who directed 13 episodes of The Waltons. Mel Parsons is a senior employee working at the Highway Planning Department who is struggling to keep his job long enought till retirement. William Phipps previously appeared in "The Prophecy" (s4-ep4)" as John Martin Renshaw a role he repises in "The Celebration" (s6-ep13). 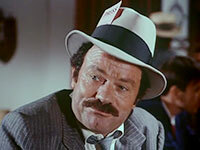 He also appears as a bus driver in "TheMedal" (s8-23). 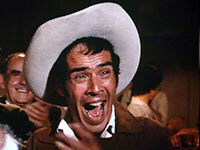 He was a regular in Earl Hamner's short lived series "Boone". He was the voice of Prince Charming in Disney's cartoon classic Cinderella and was also well known for his roles in early Sci-Fi movies. Jane Stephens runs a Business School in Rockfish that Erin gets a job at in order to buy John-Boy a new typewriter. 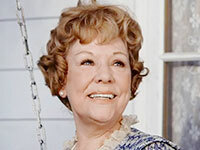 She reappears in "The Battle of Drucilla's Pond" (s6-9)"
Sarah Griffith is an old love interest of Sheriff Ep Bridges when they knew each other during World War I.
Lynn Carlin has appeared 5 times on the Waltons. 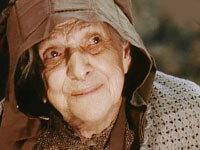 The first was as Eula Mae in "The Prophecy" (s4-ep4)and the remaining times as Sarah Griffith/Bridges. Stuart Henry is a hard-drinking, seasoned news reporter who travels with John-Boy to witness the arrival of the Hindenburg in Lakehurst, New Jersey. Vanessa Willard is the restless sister of Mary Ellen's husband Curt Willard. SHe has left her husband she search of excitement which she finds for a brief moment with Jason Walton. Country Joe Martin is on the rise as a country musician. 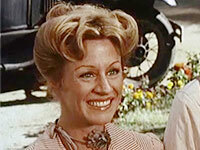 He scoops up Vanessa Willard into his act as they make therir way to the Grand Ole Opry. 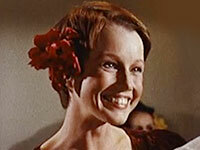 Hilary Von Clinst is a relative of the Baldwin sisters. She comes for an extended visit from Germany where she has lived for the past 17 years with her husband. 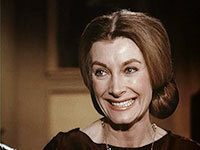 Veteran actress Jean Marsh is well known for her role as Rose in the British series "Upstairs, Downstairs". Belle Becker is a publisher at Hasting House in New York. She accepts John-Boy's first novel for publication. She appears again in "The Revel" (s9-ep21) and "A Day of Thanks on Walton's Mountain"
Daisy Garner works at a Dance Hall in between gigs adting in musicals in New York City. She helps John-Boy climatize to the hussle and bussle of the big town. She previously appeared in "The Marathon" (s3-ep9)as his dance partner. She makes a total of 6 appearances throughout the series. Mrs. Herbert is the mother of Edith Catherine Herbert, the writer of the “Jessica Girl Spy” novel that John-Boy's sister Elizabeth adores.